Hot on the heels of the success of Bournemouth's bid to be the first British internet 'Fibrecity', H2O Networks, who fit super fast fibre optic cables in sewer networks, has now announced that work on installing next-gen broadband in Dundee will begin in 2009. Though the city's council and university are already enjoying the benefits of the technology, H2O say that the service, which will provide speeds of more than 100Mbps, should also be available to all 55,000 homes by 2010. In places where running the cables through the sewers isn't suitable, H2O have instead decided to use a small 20mm-wide slot channelled into the road. Elfed Thomas, CEO of H2O Networks, said: "Dundee is the most densely populated city in Scotland, but this project will see us bringing connectivity to more remote areas, as Fibrecity is an all inclusive solution." "Many households and broadband customers have insufficient connectivity bandwidths because they are attached to legacy networks deployed in the 20th century that just can't cope with demand." 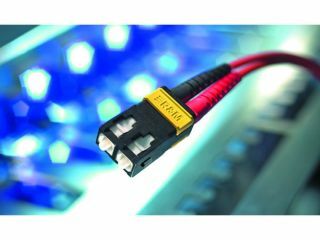 "Our solution is a totally new network that does not try to connect old and new cables. With speeds in excess of 100Mbps, it brings us right into the 21st Century and beyond," he added.